After two years at the St. Louis U.S. Marshals Office, Casey Sloane is tasked with escorting a reporter to Washington to testify before a grand jury. The reporter’s research on an up-and-coming environmentalist who suddenly disappeared is now even more vital than anticipated. At first, Casey’s assignment seems routine. But a dangerous attack on the Marshals Office puts everyone on high alert. When Casey and two other Marshals–one a man from her past–are forced on the run with the reporter, they’ll do whatever it takes to protect their witness and make it out alive. So intense! What a gripping story! I never knew what would happen next as the US Marshals try to get their witness safely to Washington DC. From the beginning I was hooked and literally did not put this book down until it was finished! I loved how the characters struggled with not knowing what to do next but always knowing they had to do their job, even if it came with a high cost. And with bombs, kidnappings, car accidents and a lunatic terrorist on the loose, it was a very safe read! But I loved it and recommend it. I received a copy of this book from the publisher. I am freely writing a review – all thoughts and opinions are my own. The Author: Nancy Mehl lives in Missouri, with her husband Norman, and her very active puggle, Watson. 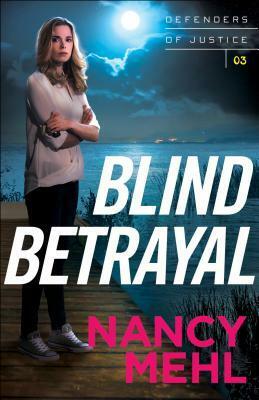 She’s authored thirty books and is currently at work on a new FBI suspense series for Bethany House Publishing. You can find out more about Nancy by visiting her Web site at: http://www.nancymehl.com. She also is active on the Suspense Sisters: http://www.suspensesisters.blogspot.com and on FaceBook!